Sergio Palleroni’s research and fieldwork for the last two decades has been in the methods of integrating sustainable practices to improve the lives of people in underserved communities worldwide. 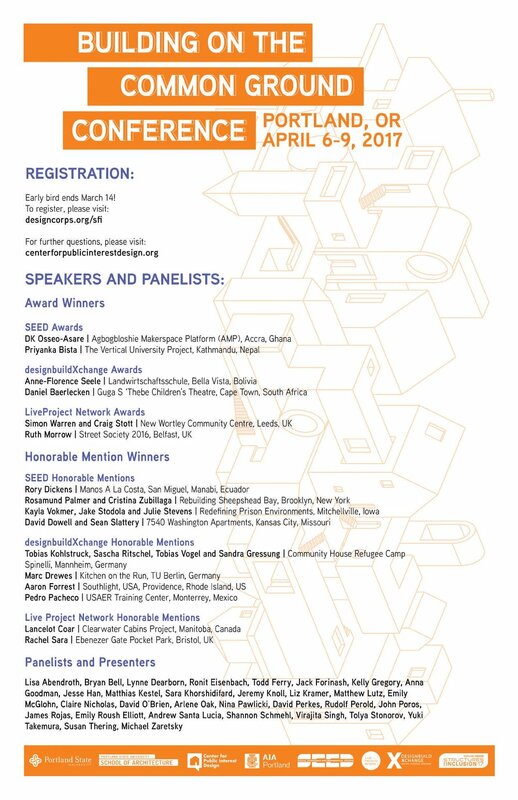 He has been a consultant on sustainable architecture and development for agencies such as UNESCO, World Bank, and the governments of China, Colombia, Costa Rica, India, Kenya, Mexico, Nicaragua, and Taiwan. 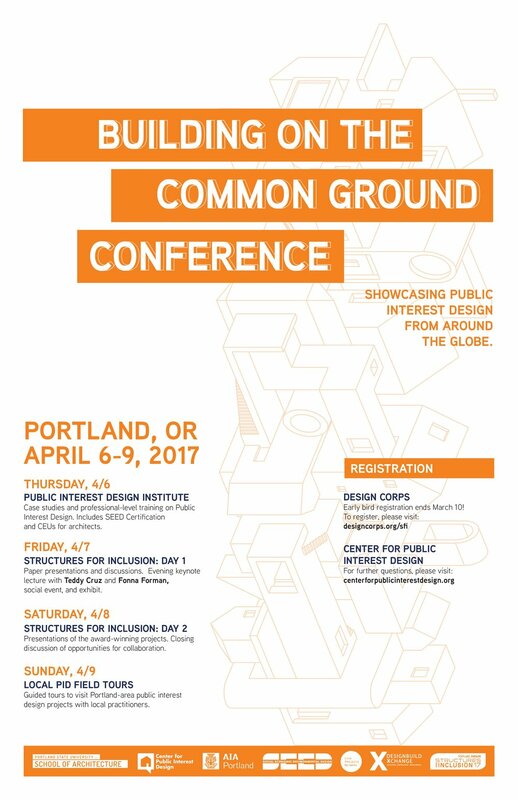 Bryan Bell has supervised the Structures for Inclusion lecture series for ten years, which presents best practices in community-based design. He has taught and lectured at numerous schools including the Rural Studio with Samuel Mockbee. His work has been exhibited in the Venice Biennale and the Cooper Hewitt Museum Triennial. He was a Harvard Loeb Fellow in 2010-11 and a co-recipient of the 2011 AIA Latrobe Prize, which is focused on public interest design. 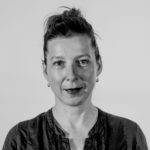 Ursula Hartig is founder of CoCoon, a sector for intercultural and interdisciplinary teaching, research, and practice in the field of build environment. Since 2000, she has been project manager and director of TU Berlin's DesignBuild Studios including planning, realization, and documentation of buildings and environments in Mexico and Afghanistan. Ursula initiates and directs the research-consortium European DesignBuild Knowledge Network. Through transdisciplinary, hands-on approaches Nina Pawlicki is seeking to investigate how community engagement processes can lead to the design of more inclusive living environments. With a particular interest in facilitating mutually-benefical collaborations on the interface between academia and non-academia she co-initiated the dbXchange.eu platform and manages projects in Mexico, Mongolia, Jordan, Colombia and Germany. Simon Colwill has experience as a freelancer with a focus on landscape design, town planning, detailing and design competitions. Since 2004, he has been at the Technische Universität in Berlin, supervising many study projects and seminars in the bachelor and master’s program. He has been a member of CoCoon – contextual construction since 2007, co-initiated the EuropeanDesignBuild Knowledge Network and has been involved in a number of DesignBuild projects in Mexico, Bolivia, Egypt and in Germany. Jane Anderson's involvement with architectural education began in 2001 as a participant in the innovative architectural tutor training course at University of East London. She taught with Ruth Morrow and collaborated with her on the book “Building Clouds, Drifting Walls,” which documented the activities of the year one design studio at Sheffield University. She established OB1 LIVE in 2008 with Colin Priest, a program of live projects commissioned by community-based clients and designed by students of architecture. Peter Fattinger is Principal of a Vienna-based Design and Fabrication Studio working at the intersection of architecture, art, and design. The work ranges from small object design, interior projects, exhibition design to public art installations, cultural productions and urban interventions, as well as lecturing and teaching. He received his Ph.D. with TU Vienna, where his thesis was titled: Design-Build-Studio: Framework, processes, and potentials of design-build-projects in architectural education. Susan Thering has contributed to partnership projects in urban brownfield neighborhoods, rural “coal country” Appalachia, and remote First Nations reservations. Her practice, research, publications, and teaching focus on documenting the outcomes of trans-disciplinary and participatory community planning and design, with particular attention to social outcomes. Prior to joining the Design Corps team, Sue was Executive Director of Design Coalition Institute in Madison WI, and Founder and Director of the Community Design Action-Research Group at the University of Wisconsin-Madison. DK Osseo-Asare is co-founder and principal of LOWDO: an architecture and integrated design studio based in Austin, Texas and Tema, Ghana, and design lecturer in engineering at Ashesi University. DK is a TED Global Fellow and Fulbright Scholar whose research spans design innovation, open-source urbanism, digital fabrication, and architecture robots. He led urban design for Koumbi City and Anam City new town projects in Ghana and Nigeria, and is co-founder of the Agbogbloshie Makerspace Platform (AMP), winner of the Rockefeller Foundation’s Centennial Innovation Challenge, and a 2017 SEED Award Winner for public interest design. Teddy Cruz is a professor of Public Culture and Urbanization in the Department of Visual Arts at the University of California, San Diego. He is known internationally for his urban research on the Tijuana/San Diego border, advancing border neighborhoods as sites of cultural production from which to rethink urban policy, affordable housing, and public space. Fonna Forman is a professor of Political Theory and Founding Director of the Center on Global Justice at the University of California, San Diego. A theorist of ethics and public culture, her work focuses on human rights at the urban scale, climate justice in cities, and equitable urban development in the global south. Cruz & Forman direct the UCSD Cross-Border Initiative, and are principals in Estudio Teddy Cruz + Forman: a research-based political and architectural practice in San Diego. Our work emphasizes urban conflict and informality as sites of intervention for rethinking public policy and civic infrastructure, with a special emphasis on Latin American cities. To download a copy of the conference speakers, please click here. To download a matching conference poster, please click here.